Is there a security update for the Intel ME firmware for my Razer Blade 15" (2019) Advanced Model? Where can I find the latest drivers for my Razer Blade 15" (2019) Advanced Model? 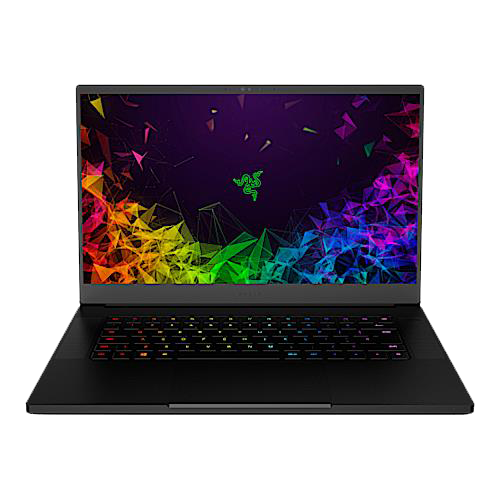 What are the specs of the Razer Blade 15" (2019) Advanced Model? Can I upgrade the RAM and SSD on the Razer Blade 15" (2019) Advanced Model? Yes, the RAM in the Razer Blade 15" (2019) Advanced Model comes with 16GB dual-channel DDR4-2667MHz RAM that can be expanded up to 64GB. It also comes with either a 256 or 512GB SSD (NVMe PCIe 3.0 x4, 2280) that can be upgraded to a maximum of 2TB. Where and when will the Razer Blade 15" (2019) Advanced Model be available? The new Razer Blade 15" (2019) Advanced Model Gaming Laptops with NVIDIA GeForce RTX 20-series GPUs start at $2,299 and will be available beginning January 29 from Razer.com and select retailers in the United States, Canada, France, United Kingdom, Germany, and China. What is the refresh rate of the 4K Touch version and the full HD version of the Razer Blade 15" (2019) Advanced Model? The refresh rate of the 4K Touch version of the Razer Blade 15" (2019) Advanced Model is 60Hz. The full HD version of the Razer Blade 15" (2019) Advanced Model features a refresh rate of 144Hz. How does the battery life differ among the different versions of the Razer Blade 15" (2019) Advanced Model? The Razer Blade 15" (2018 and 2019) Advanced Models feature an 80Wh battery. The Battery life of your computer depends on many factors and conditions. Your individual battery life will vary from computer to computer based on these conditions. How do I upgrade the RAM and SSD of the Razer Blade 15" (2019) Advanced Model? Detailed steps on how to upgrade components are not available. Instructions from other sources may be available but we cannot be responsible for their content. Note: Any damage or issues caused during installation or as a result of incompatible parts being used is not covered under the warranty, and may void the warranty coverage. Razer will not be liable for any warranty coverage on any third-party part you may install and we cannot guarantee compatibility or performance of any third-party parts. How much RAM and what type of RAM can I install in the Razer Blade 15" (2019) Advanced Model? The Razer Blade 15" (2019) Advanced Model's RAM uses SODIMM DDR4 RAM and can be upgraded up to 64GB DDR4-2667MHz. Is the Razer Blade 15" (2019) Advanced Model compatible with the Razer Core, Core X, and Core V2? Yes, the Razer Cores Graphics Enclosures are compatible with the Razer Blade 15" (2019) Advanced Model using the Thunderbolt Port on the right side of the Blade. Please do attempt to use the USB ports on the left side of the Blade as they are not compatible with the Razer Core. Is the Razer Blade 15" (2019) Advanced Model supported by Razer Synapse 3.0? Yes, the Razer Blade 15" (2019) Advanced Model is supported by Synapse 3.0. Is the Razer Blade 15" (2019) Advanced Model available worldwide? Please check your local and regional availability, but the Razer Blade 15" (2019) Advanced Model will be shipped to most regions the other Razer Blades are sold. How does the keyboard lighting differ between the Razer Blade 15 (2018) Base Model and the Blade 15" (2018/2019) Advanced Models? The advanced models feature per-key Chroma RGB, which means each key can be individually configured by Razer Chroma. The Base model features single-zone Chroma RGB, meaning the entire keyboard can be configured by Razer Chroma but not on a per key basis. Does the Blade 15" (2019) Advanced Model support Windows Hello? Yes, the camera in the Razer Blade 15" (2019) Advanced Model supports Windows Hello and is IR based. Does the Blade 15" (2019) Advanced Model support Intel XMP RAM? Yes, the Blade 15" (2019) Advanced Model can support Intel XMP up to 3200MHz as long as the RAM is compatible. What are the main differences between the Blade 15" (2019) Advanced Model and the Blade 15" Base Model?